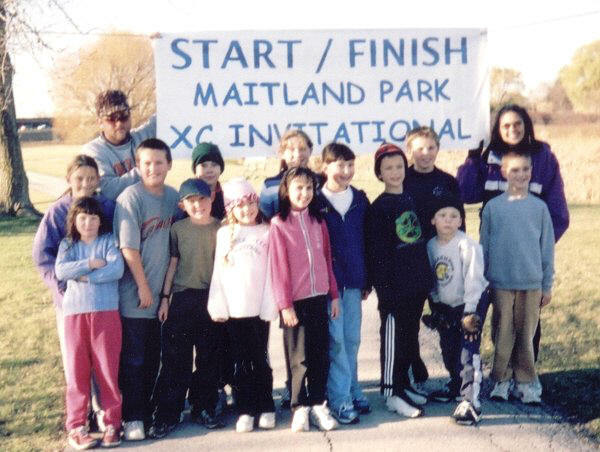 The color in the trees, athletes seen scouting the course wearing jackets and sweats, along with the calendar showing mid-October was the setting once again for some Homeschool Championship cross country racing. 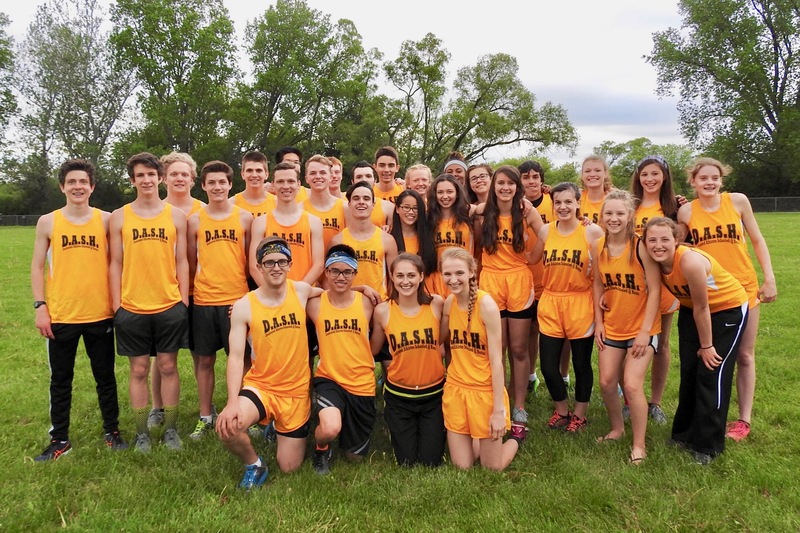 This year the 2018 DASH cross country team made its way to Janesville to compete against seven other homeschool teams from Wisconsin and Illinois. All the weeks of training and the miles the athletes have logged have been done with this meet in the back of their minds. The weather was ideal for some fast running, and the course was in great shape considering all the rain we have had. It was time to see how our team stacked up against the other homeschool teams from hundreds of miles around. 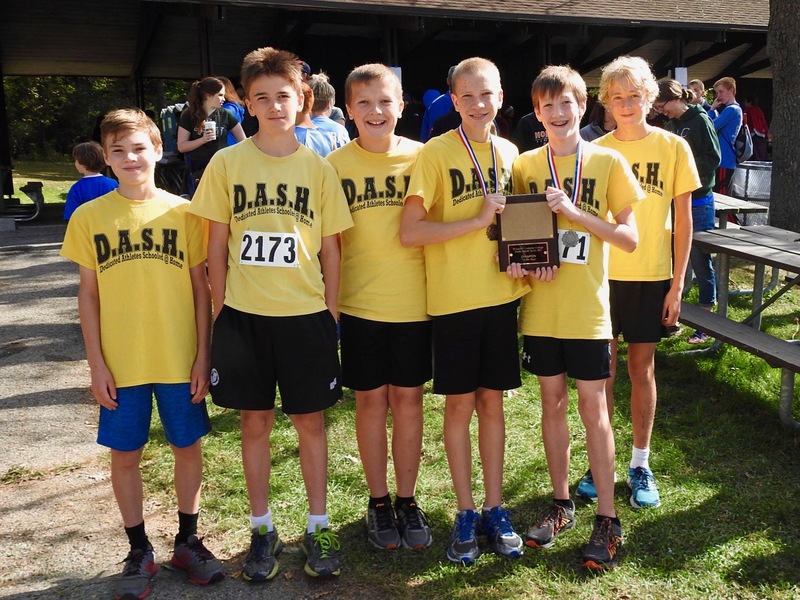 The middle school boys were first on the schedule. 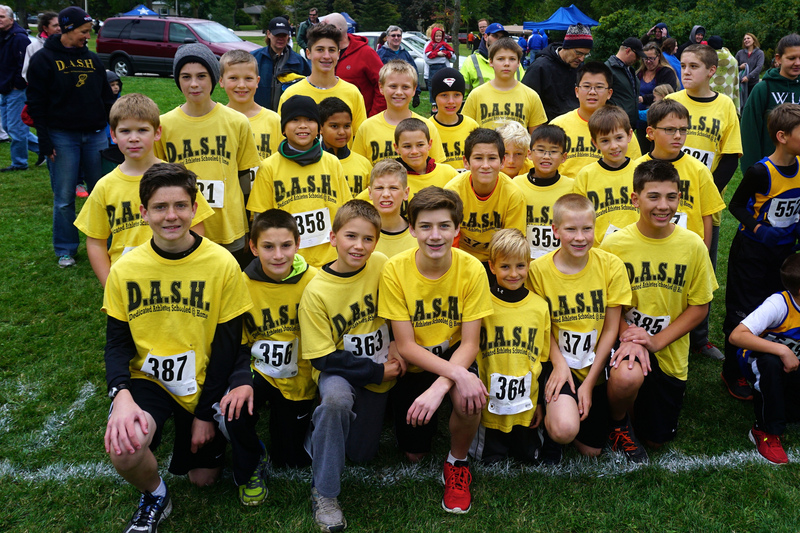 The founder of the DASH team, Drew Heiss, was the starter for the day, and with the lower numbered boxes, including our own box 2, marked out incorrectly, he quickly reset the starting flags and had the boys lined up for a fair race. Well done, Drew! Unfortunately for us, our boys would not be at their best this time out, but we would be beaten fair and square. Nathanael Chu was our first runner to the finish, but his 18th place over the 3000 meter course would be out of the top-15 medals. Micah Chan had a descent day ending up 26th overall. He came in just ahead of Abiah Radtke who was definitely not feeling 100% this time out. Josiah Chu competed well and was the second fastest 5th and under runner in, coming in just a second behind the first. 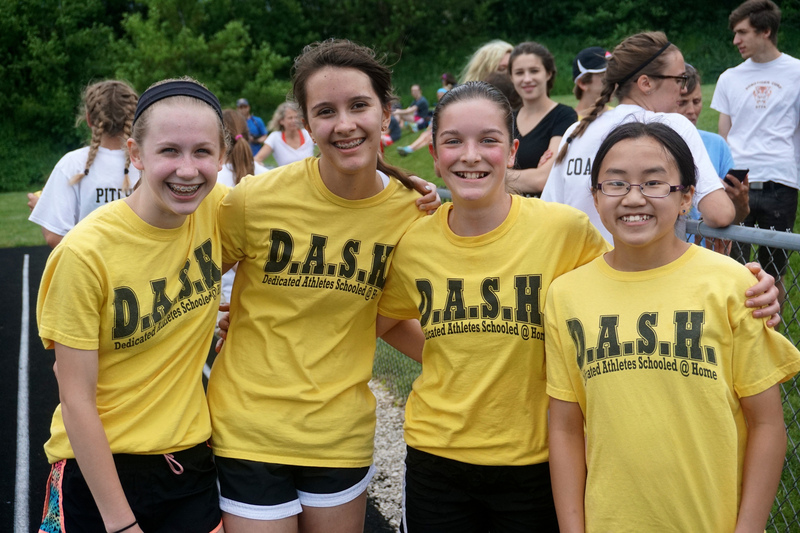 After Josiah we had four of our athletes hit the finish in succession. Charlie Johnson placed 40th overall. 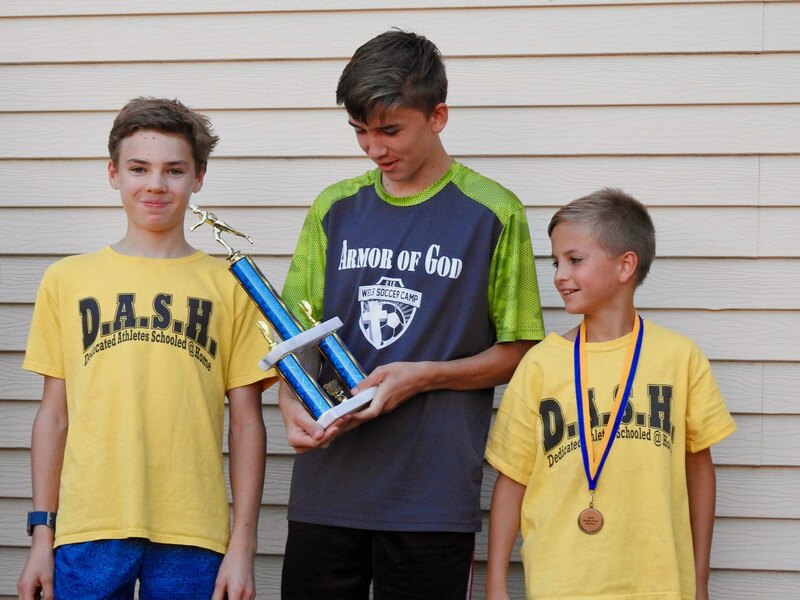 He was followed by Noah Caspers, who was the top 3rd grade and under boy in. Silas Johnson was next finishing just ahead of Joshua Lipski. Ephraim Radtke had been practicing so well the last week, but for the first time he did not have it for a race. None of the boys came through with a really big day, and we had several that were well off of their best. It would be reflected in the team scores. Julianna Caspers led the middle school girls out as usual, but she banged her knee on a post and was hurting the rest of the way. She did hit the medal stand, but she was hoping to do much better than 10th place. Bedalia Radtke did have a big day, staying close to Julianna. Bedalia was one of three 5th and under girls to get a top-15 medal with her 13th place finish. Julia Kowalinski looked to be struggling through the course. She gave great effort, but finished a full minute behind Bedalia in 26th. A good day from Julia would have been much closer to top-15. Mary LeSac was our 4th runner in for the first time this year. We needed her to be near her best, and she gave us a solid result. Joy Rasch ended up in 35th place. Joy has been so good for us the last couple years, but this was a disappointing result. Grace Caspers toughed out another race and was our sixth runner in. We need to get her healthier over the winter months. Jenna Walters had a slow start, but a nice finish. She has been running well. Mary Claire Egan had her best race of the year, showing off her potential. If she comes back next year she could be one to watch. Natalie Radtke did not have her usual good start, and never seemed to get going. She finished just ahead of Rebecca Anderson who was seen leaving some of her breakfast on the course. Rebecca is another one who could be very good if she sticks with it another year or two. Overall the girls could not come up with a big day this time out, but they were close. We were now on to the high school races. Our boys have had mixed results the last couple times out. The scouting report had a very good Eagles team as the team to beat, but we also had a good Lightning Bolts team to contend with. Our boys would have to bring their best to stay in the running for a top-2 trophy. The boys got out fast and looked to be running very well at the start. The goal from there would be to hold our spots and work on moving up. Caleb Schaber had another big day for us. He locked into the 3rd spot and stayed strong to the finish while posting a solid 18:10 time. Alexander Taylor gave us a personal record 18:27 effort. He battled Eagles the whole way and held his ground to the end for a 5th place finish. There were four freshman in the top-11, but Alex came in ahead of them all by 30 seconds or more. Senior Drake Hacker ran inspired, and gave us his best race of the year to place 7th overall with a season best 18:45. Drake came up big for us one last time. Kaden Hacker was back running his best and gave us 4 in the top-10 while breaking 19 minutes for the first time. Kaden finished right behind the Chippewa Valley Lightning Bolts 1st runner, but also behind the Eagles 5th. The Eagles proved unbeatable this time, but we had turned the race for the 2nd place trophy into a route. Joshua Schaber sealed it for us with a solid 20:40 effort for 26th place. Vincent Maurer stayed close to Joshua and gave us some insurance as our 6th runner in. He finished in 21:02 for 31st. Jacob Parker and Matthew Schaber paced together most of the way. Jacob posted a 21:16, and Matthew followed with a 21:21. 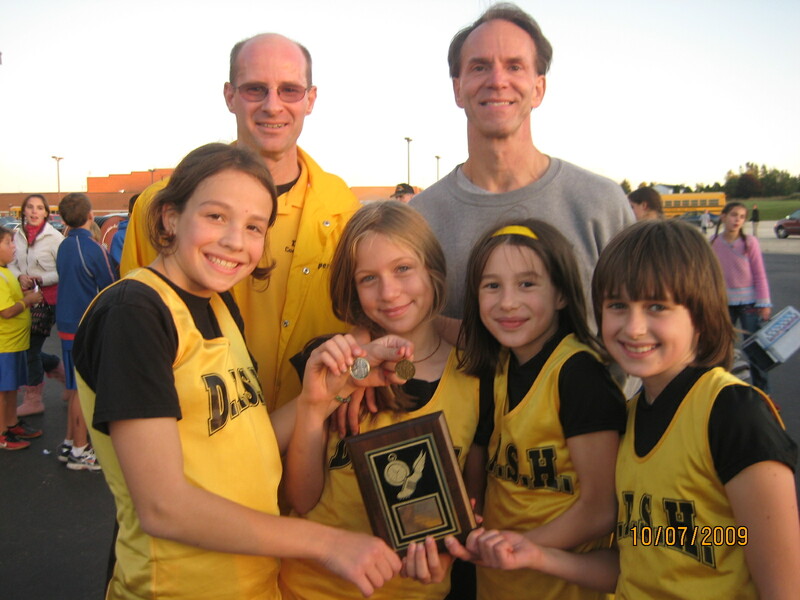 It was their first taste of championship racing at the high school level and they did very well. They may be counted on next year to be more of a factor in the team scoring. The high school girls race was saved for last. In this one, we would be the favorites, but the Homeschool Eagles and Lightning Bolts teams were both running very well lately, so we would have to keep tabs on them while doing our best at keeping them behind us. 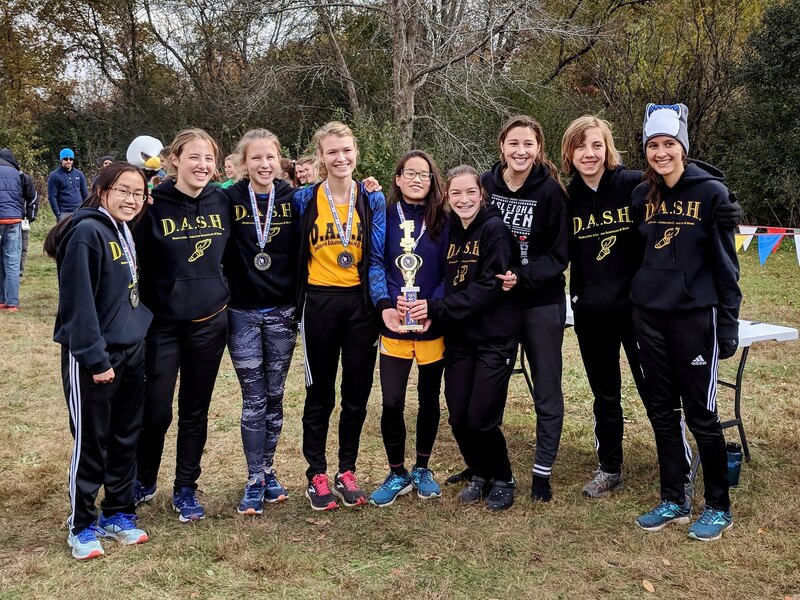 Two Eagles girls were the early pacesetters, but Abby Chu reeled them in slowly, passing them just before the trail narrowed heading into the woods. From there a Tri-State Flamingo and our own Stephanie Chu broke away from the pack to chase down Abby, but Abby would not be denied victory, coming in with a new DASH record 21:06 time. It was a spectacular and special day for Abby! Stephanie Chu blazed through the 22 minute barrier for the first time, putting a stamp on the 3rd place medal with her 21:25. That is the 3rd fastest time in DASH history. The girls were running like champions. Keeping Terez Wycklendt healthy enough to make it through the second half of the season has had us a bit nervous these last few weeks, but Terez was on the course coming through with yet another personal record effort. It would be a 7th place 22:29 for Terez. Alivia Kempf paced a few steps back of Terez for most of the race, but then she came up with a big finish, pushing Terez all the way in and getting her own identical 22:29 time. Alivia has been solid as a rock for us all year, and with her 8th place finish the race was all but over because we had our next four girls all staying near each other, and close enough to the 5th Eagle to have us winning big. Emma Taylor did not have her best race of the year, but her solid 24:34 effort was plenty good to clinch the team race in our favor. Ella Johnson was ready to be our 5th if needed, running to a personal record 24:40 while pushing Emma along. Katie Gorectke was our 5th for awhile, but was a bit sporadic the second half of the race. She ended up with a nice 25:11. She has run very well under championship conditions. We will need her to do it again next year. Faith Caspers ended her long DASH cross country career with a season best 25:23. It is hard to believe our long-time star was never really needed to come up big for us this year. Her teammates were running that good. Katrina Lipski lowered her personal best by 23 seconds with her 27:11. It has been such an impressive senior year from Katrina. Sandrelee Velez was very happy with her day as she cut off over a minute from her best time with a 31:24. Nice. Shariah Hyler was not feeling well and coasted in with a 32:29. This year Ella Johnson was rewarded for her hard work, winning the most improved runner medal after cutting off over 2 minutes from her time. If Sandrelee and Shariah keep practicing, they will be in contention for the most improved award next year for sure. 2018 will go down as one of the DASH team’s most successful season. What the high school girls did was the stuff of legend, winning big in each of their last four meets. 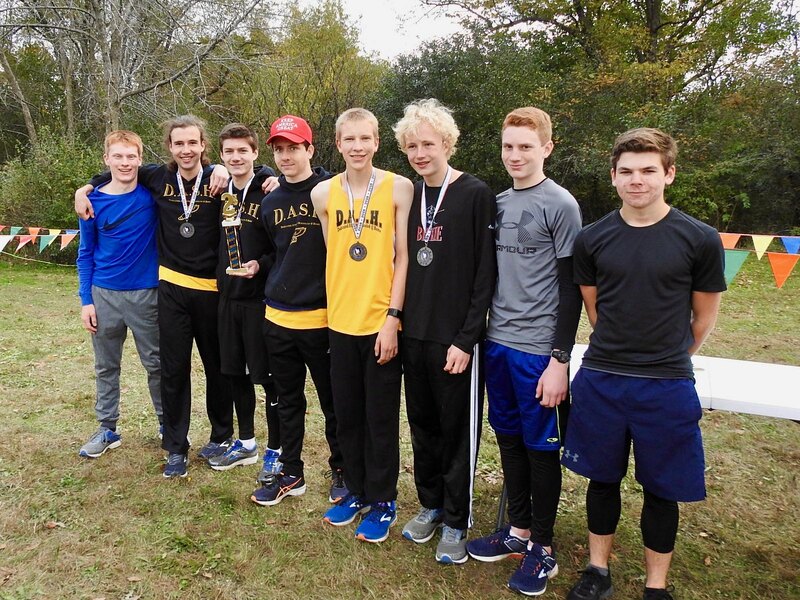 The high school boys had two big wins, were 2nd at the championship, and placed 3rd at KML. 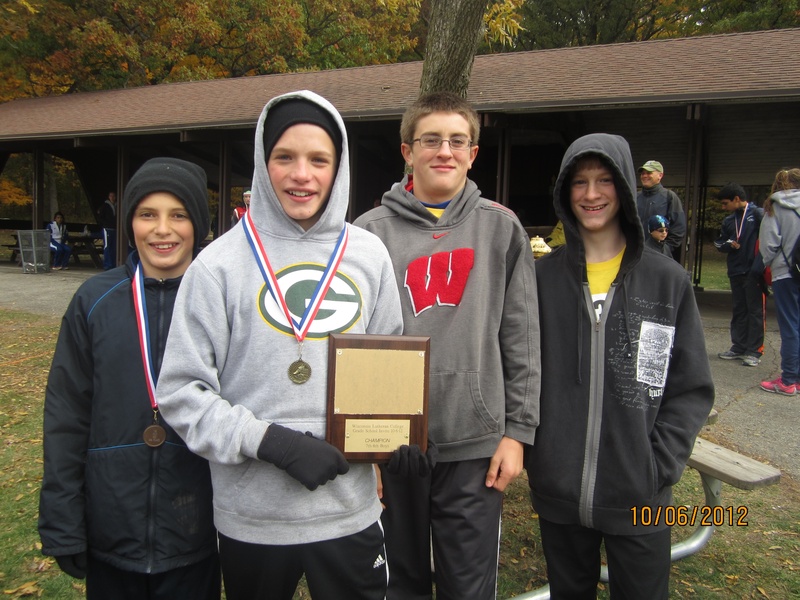 The middle school boys got a win in Hartland, 5th at the big KML meet, and were very good at Elkhorn. 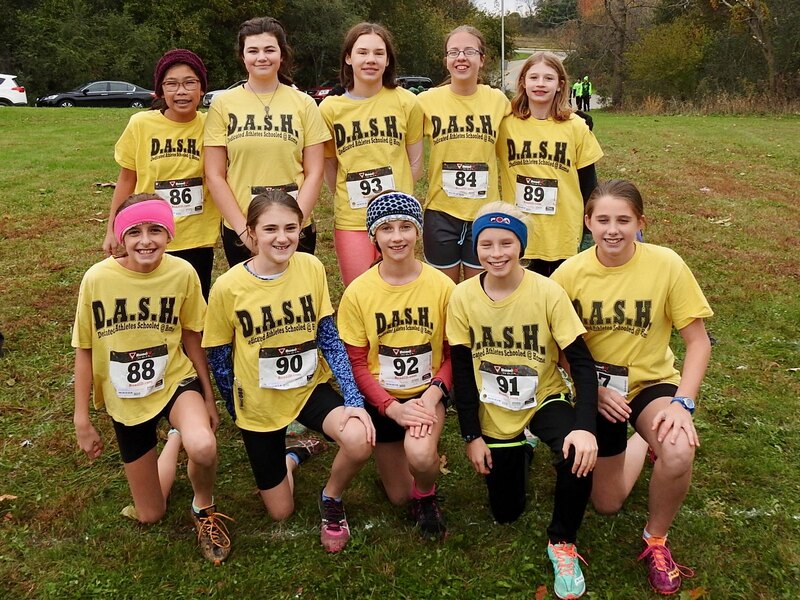 The middle school girls got a trophy in Hartland, won the 6th and under race at Minooka by over 30 points, took 4th at KML, and were also very good at Elkhorn. This team practiced hard, and have been rewarded for their efforts with some exceptional results. Well done, everyone! Thanks to the Homeschool Eagles for hosting this year. Almost everything was planned well, and the few things that slipped through were identified and corrected quickly. Thanks to everyone for making the drive out to Janesville. Thanks to Ed Beck, Chuck Maurer, and Dawn Kempf for their help with the coaching. Special thanks to Ed Beck, Steven Chu, and Nancy Chu for passing out and collecting the timing chips and bibs. Thanks to the camera lady, Julianna Caspers, and Laura Gorectke for helping with the photos. I ended up taking the majority of the photos myself this time, so they could be better. We were late in getting back to the finish in time for the high school races, and I had trouble keeping the camera ready while trying to cheer the team on as they went by. Sigh. Coaching and taking photos at the same time is never a good mix. Now we get to reminisce about the great season we’ve had while passing out awards this Tuesday at the end-of-the-year party. I hope to see you there. 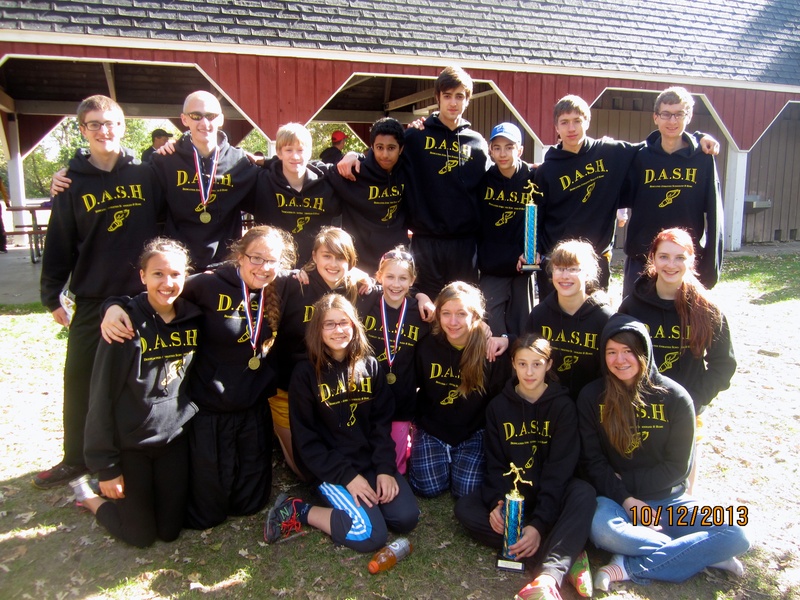 The DASH high school cross country team was in Delafield on Tuesday for their final regular season meet. With all the rain we have had, St. John’s NW Military Academy was forced to alter their course this year. The course would remain fast, but the warm, humid weather would slow things down some. With the meet being pushed back a week and into the same week as conference meets, it was little smaller this year. But the competition from the seven other teams proved to be pretty good. 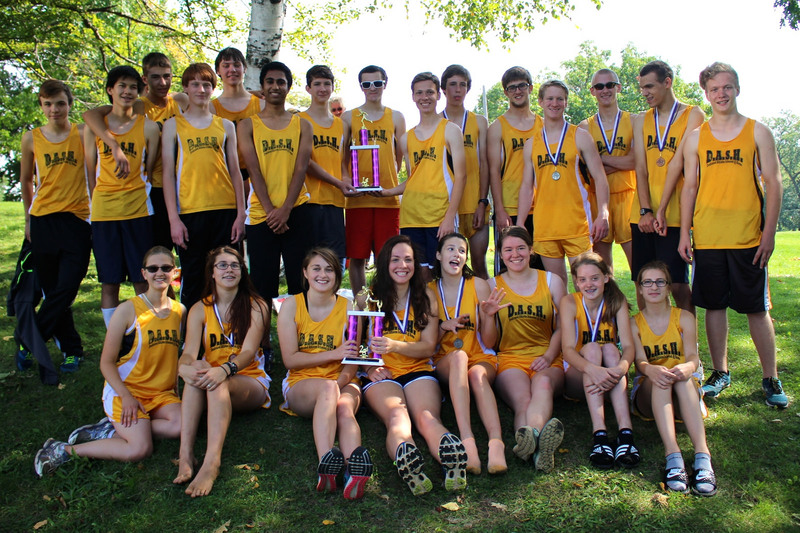 The co-ed JV race was first on the schedule. Matthew Schaber moved up as the race went along and earned the team’s first top-15 medal with an 11th place finish. Jacarie Rucker looked strong while cutting over a minute off his time from his last race despite the much warmer conditions. John Shane looked good in spurts, but was not able to maintain his best form over the course and finished with a 27:49. Faith Caspers ended up 4th this time out, coming in behind three girls on teams that ran only JV. That is practically a win. Katrina Lipski really pushed herself again and got a very nice 28:11 time in the high humidity. That time held up for the 7th place medal. Shariah Hyler had her best race yet and won the 11th place medal. Very nice. Naomi Zhou continues to run well. She is having her best cross country season, but unfortunately this time she finished just out of the medals in 16th place. Sandrelee Velez was off to a great start, but was then slowed by some issues in her upper leg. 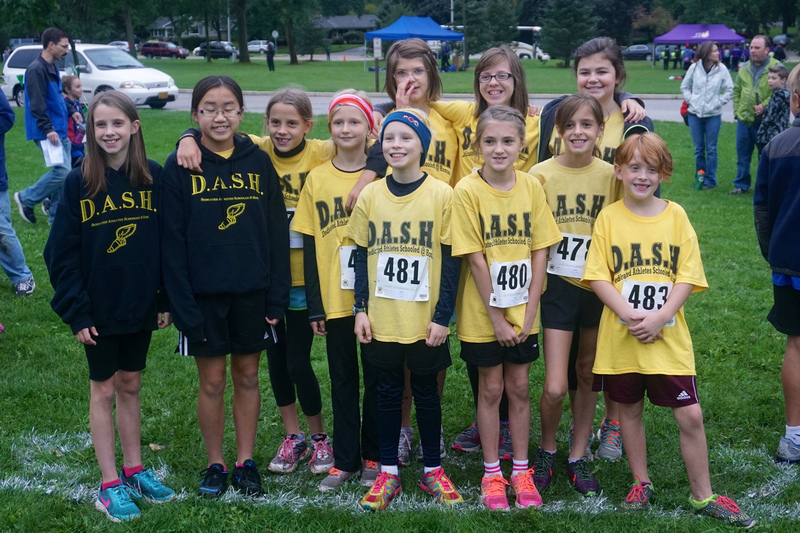 Four full teams started out in the girls varsity race, but it did not take long for our DASH girls to move into the position as the team to beat. Stephanie Chu paced in 3rd place most of the way, but eventually moved up ahead of her sister. It was really a routine 22:12 effort for Stephanie – if you can call 2nd place routine. She is has put up great times each race. Abby Chu was feeling some tightness in her hamstrings, so she ended up having more of a tempo run than a race. Abby finished 3rd overall with a 22:26. I would have loved to see her go for the win, but we need to keep her healthy through the weekend. Terez Wycklendt stayed close to Abby and Stephanie this time as she continues to improve. Her new personal best 22:47 helped us put 3 girls in the top 4. Wow! Fifteen seconds later Alivia Kempf strided in giving us 4 in the top 6. The girls were having a very big day once again. Emma Taylor made it 5 girls in the top 10 with her 24:40 effort. Emma emergence as as strong number 5 has been so important to our success. Ella Johnson gave us a sixth varsity top-15 medal and came in ahead of the other scoring teams 3rd runner. Wow! Katie Gorectke had some hip issues, but did make it to the finish. Hopefully she will be ready to race on Saturday. 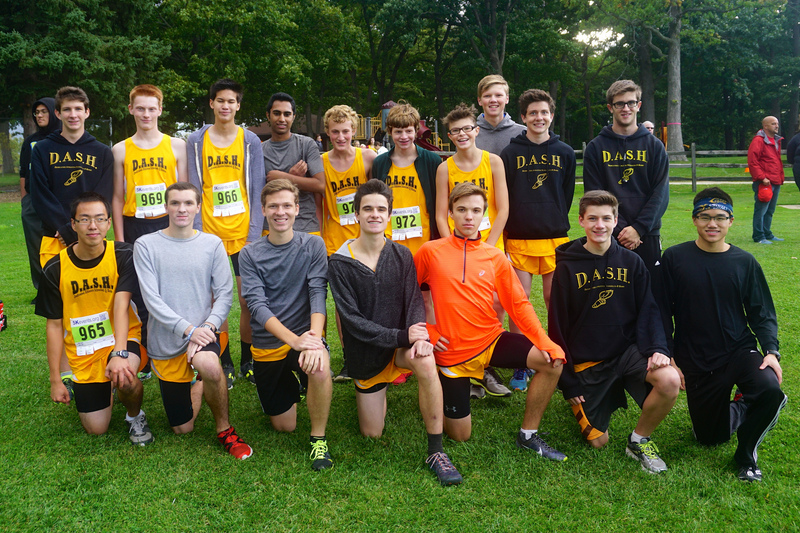 The boys varsity race was a little bigger with six full teams. Alexander Taylor got ahead of Caleb Schaber at around the mile mark and never looked back. He would be the 3rd athlete to cross the finish line with his 18:55. So far, so good, but unfortunately their would be little good left to report. Caleb Schaber had a side cramp that had him falling back all the way to 13th place. Drake Hacker got off to a sluggish start, but then was able to move ahead of some key athletes for us before settling for 19th. Joshua Schaber looked really good at the start, but was not able to maintain it in the humid conditions and fell back to 28th. Kaden Hacker was not healthy this time out and it showed. He pushed himself as usual, but this time it was only good for 29th. Vincent Maurer made it in 14 seconds after Kaden, and Jacob Parker struggled the second half of the race and finished in 22:10. It was the kind of disappointing day we have not seen this year from the boys, and coming off their big day at Armstrong Park made it more surprising. But the weather will be much cooler Saturday. If the boys can get healthy, expect them to bounce back strong. We had some thunder at the very end of the boys race, and the teams rushed off before the heavy rains came. 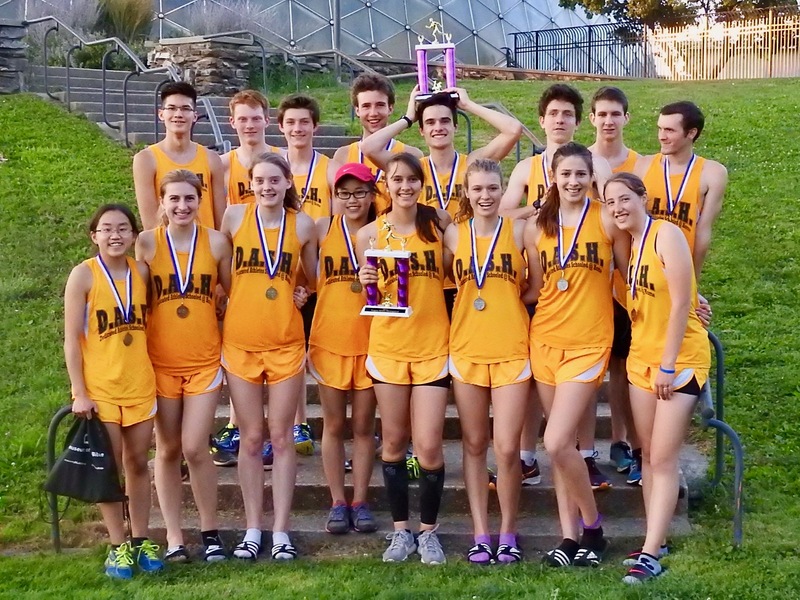 There would be no formal award ceremony, but we did take home the 1st place girls team plaque. The girls won with just 22 points. The boys ended up behind all but one team. We do need to make amends this weekend. 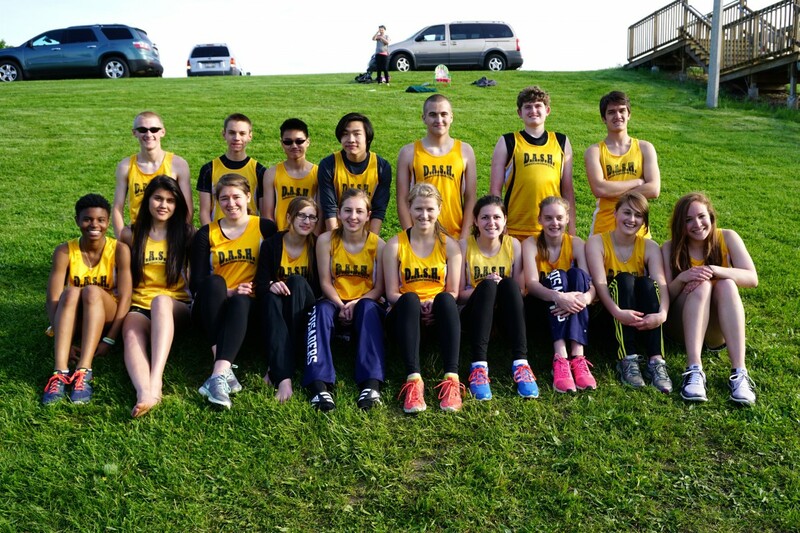 Individually we came away with 12 top-15 medals. Not a bad day. Thanks to Mr. Beck, Mrs. Kempf, and Mr. Maurer for their help with the coaching. Thanks to the folks at SJNMA for getting a course ready just in time and keeping the athletes out of the mud despite all the rain we have had. Thanks to the camera crew of Julianna Caspers, Grace Caspers, Abby Taylor, and Emma Taylor. The lighting was not ideal, but the photos I kept turned out pretty good. Now we turn are attention to Saturday’s championship racing. I hope to see you there. 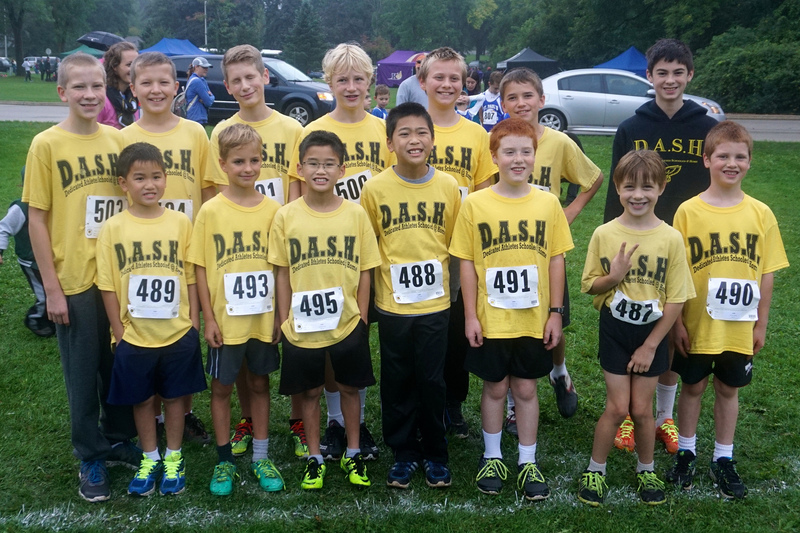 The DASH middle school cross country team was up in Jackson last Wednesday to run on the Kettle Moraine Lutheran grounds for the 10th year in a row. This has become the team’s biggest meet. We would have to be at our best to score well against the other 31 teams on hand. The recent rain left the course soft, muddy, and slow. The athletes would end up plenty dirty after battling through their races. 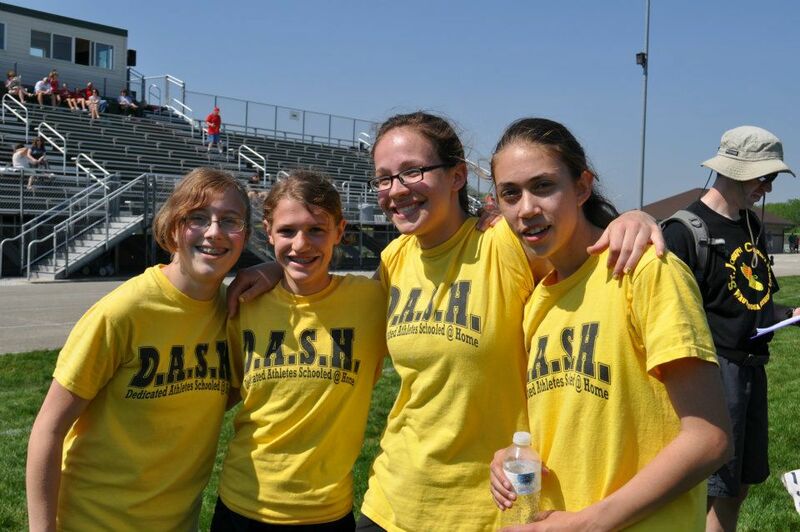 The 2500 meter girls race was first. Grace Caspers became our leader on the low ground by the baseball diamonds. Grace ran well and placed 57th overall out of 168 girls in the race. Rebecca Anderson, Talia Kostrzewa, and Natalie Radtke all stayed close most of the way with Rebecca being the first to hit the finish, passing Talia down the homestretch. Rebecca is walking less now, and I am sure it helped having Talia around to keep her going. Talia ran a very steady race as usual, and was impressive in placing 69th overall. Natalie fell a little behind Rebecca and Talia in the muck around the soccer field, but still placed in the top half. Angela Walters ran for the first time this year, and struggled through the tough course. We had three at the starting line in the 2500 meter boys race, but Charlie Johnson and Silas Johnson both jumped in the race just after the horn went off. Josiah Chu ran inspired and finished 18th out of 163, and if the big Slinger team did not run their whole team in this race, Josiah would have been top 10. Charlie was soon seen moving up early after starting late, and he then ran behind Ephraim until the last loop around the soccer field. It was a nice 27th place finish for Charlie. 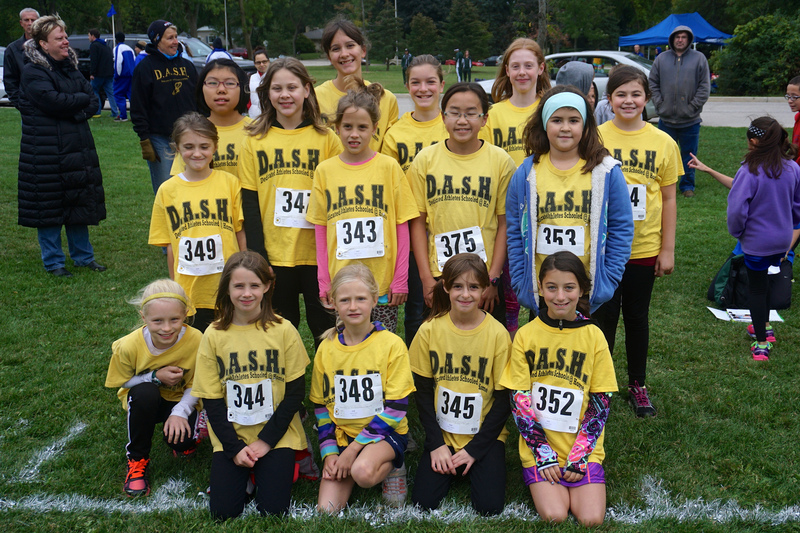 There were 42 3rd grade and under runners in this race, and 2nd grade Ephraim Radtke beat them all by over 30 seconds! That is legendary stuff, and I am not sure if Ephraim knows just how good he is running, but the coach sure does. 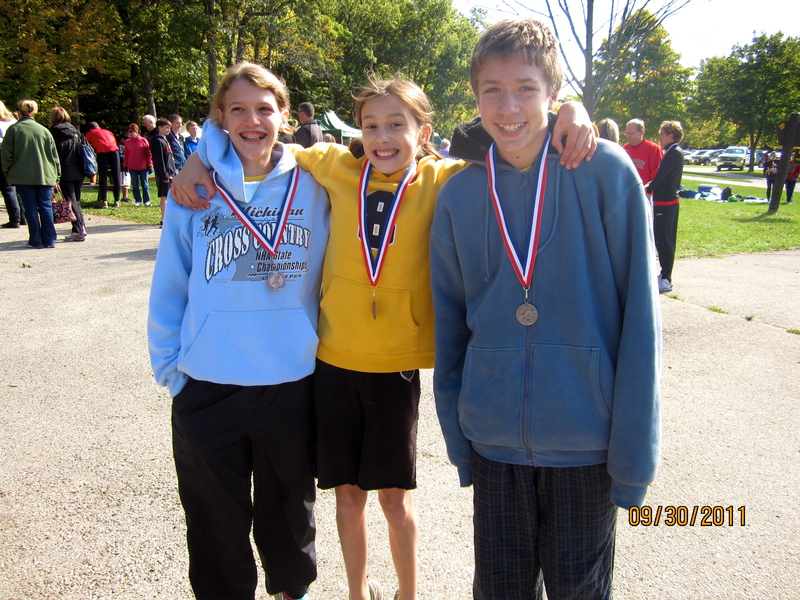 Noah Caspers was 4th among the 42 3rd and under runners, and he had been out sick all week. These young boys of ours are fantastic. Silas Johnson gave everyone a considerable head start after trying to get his chip in his shoe before the race. He ran hard and was moving up, but the shoe with his chip was not tied tight and came off in the mud just before the finish. We shall never know his time. 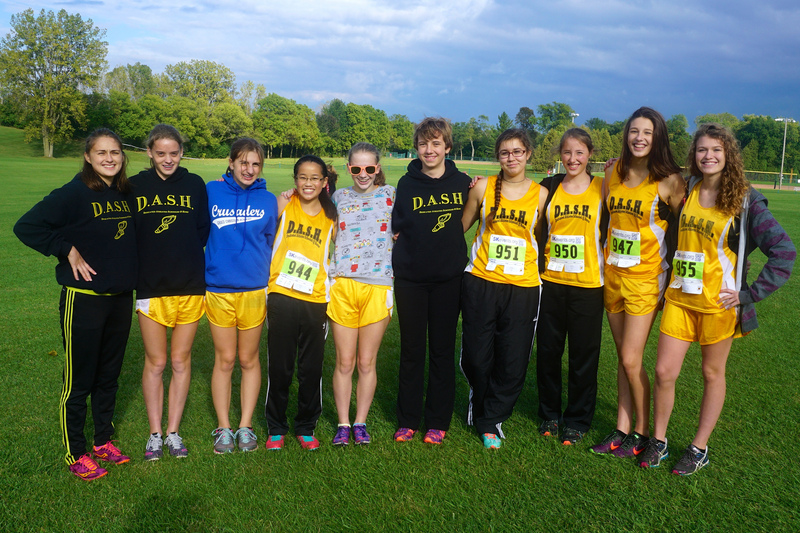 The varsity girls were now ready to run their longer 3200 meter race. Julianna Caspers got off to her best start of the year and was already in 13th place when she headed down the hill for the loop by the football field. Despite going up against probably our toughest competition of the season, Julianna was still able to move up little by little until she raced down the homestretch in 9th place. After just missing last year, Julianna hit the medal stand once again. Bedalia stayed steady and strong the whole way, and gave us an important good result by finishing 27th. Julia Kowalinski and Joy Rasch pushed each other through the course with both cracking the top-40. Having four girls in the top-40 boded well for our team score. The lookout was then on for Mary LeSac. Mary handled the distance well and gave us a nice 61st place effort. The girls had had a good day. We would have to wait to see how we ended up when the points were counted. Jenna Walters ran varsity to give us a little insurance. She brought two left spikes to the meet, so she ran with one of them and took 85th. I would have liked to see Jenna’s result on a cleaner course. She has been impressive lately in practice. Our six varsity boys then lined up to compete in a field of close to 200 athletes. This race would be crowded and fast. Nathanael Chu got out extremely fast, and was our leader most of the way. Nathanael has done well in muddy conditions before, and he was impressive again, coming in with a 21st place finish. Abiah Radtke liked the longer course, and kept Nathanael close the whole way while giving us two in the top 25. Leif Kostrzewa was a little too fast the first half of the race. He grabbed the lead for awhile, but dropped back later. He settled for 35th which was pretty good. Seka Kostrzewa gave great effort and was the eighth 5th grade and under athlete to the finish. I would have loved to see what he could have done wearing spikes. Micah Chan had a big day and liked the long course. His 67th place finish helped keep our team score low. Joshua Lipski held up pretty well in the mud and heat. He came in ahead of over 50 athletes, but I think it would have been a lot more on a cooler, drier day. The coach was happy with the boys effort. We ended up with nine top-40 ribbons, and one top-10 medal. In a way that was expected because we have seen this team rake in the awards at a high rate before. The team scores were also very good. The boys were one of six teams that separated themselves from the others, and we ended up 5th. The girls came in 4th overall, and only behind three much bigger teams. That was a big improvement over our 9th place finish last year. 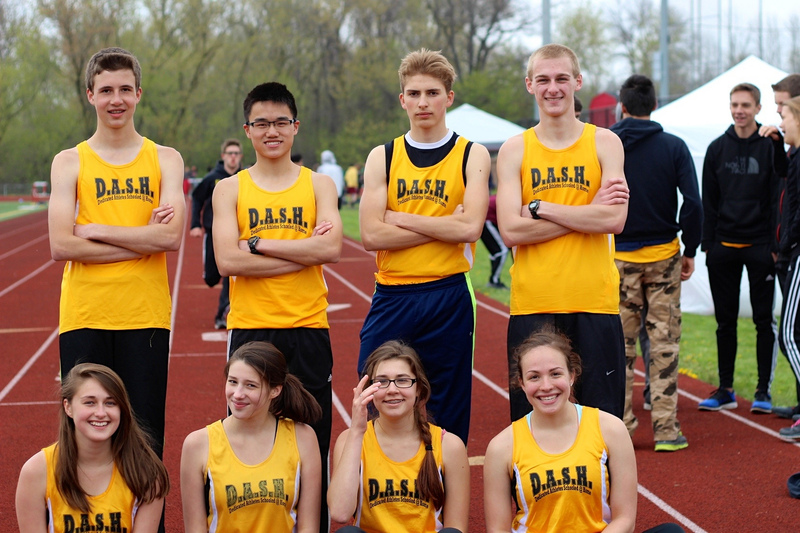 I thought the team was a little off last meet, but this meet was very good. That makes four out five meets this year where this team has really shined. Now we get one more chance to see this team race, and that will be at the Homeschool Championship. I hope to see you there. Of course, we had a big contingent at the fun run again this year. We always do. The coach has dominated the bald guy division the last few years, and now seems to have scared off all the competition. The coach slogged through the mud to a top-10 finish. It was a very tiring way to end a great day of racing. We did not get photos this time of the fun run so I don’t know too much about what happened. I do know it took me a long time to catch some girl named Charlene Radtke. We need to get her wearing some DASH yellow soon. Of course, I never did catch Ephraim. Thanks to Mr. Beck for his help with the coaching. I see he prayed with the team when I was scrambling trying to get people to the start. Very nice. Special thanks to Debbie Anderson for her leadership in passing out and collecting the chip timers. Judy Chan also assisted. That is such an important job, and it all went very smooth. Thanks to all the parents for making the drive to Jackson for what I consider one of our big meets. Thanks to the camera lady, who had a little help from Julianna, in getting some very nice photos. You will want to check them out. Now on to our final week of racing. It is going to be fun.